There is no one definitive insulin resistance test, but there are several tests you can have to determine if you may be having a problem. Learn more about testing as well as common symptoms. The most common way of detecting insulin resistance is by using a homeostatic model assessment (HOMA). This assessment involves measuring both glucose and insulin levels and then using a calculation to determine how well your beta cells are working. Before diving into your options for getting an insulin resistance test, you need some background about the problem. 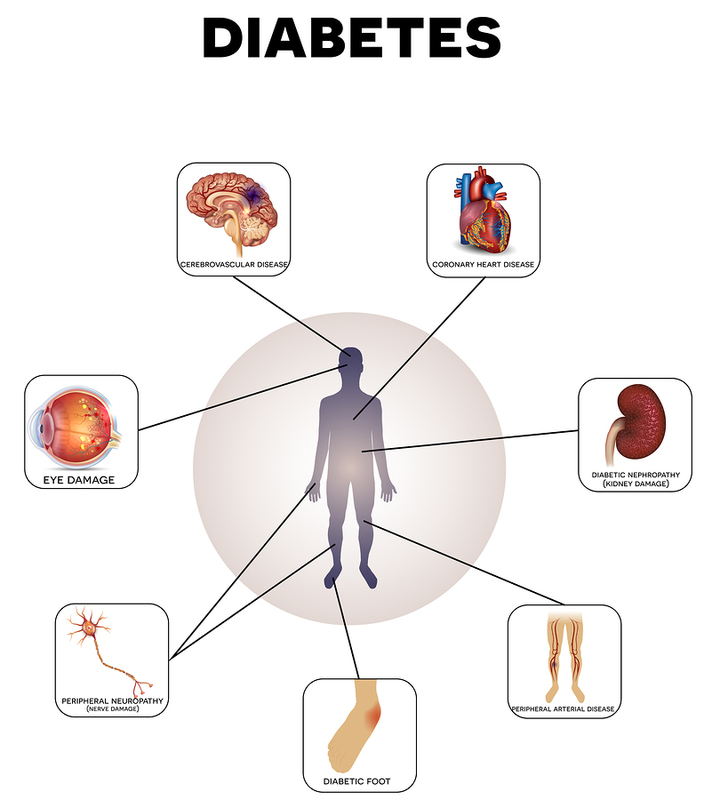 Insulin Resistance is a medical condition where the cells of the body are resistant to insulin. This is a serious medical condition, as insulin resistance symptoms can destroy your health. We need insulin to help us control the sugar level in our blood. 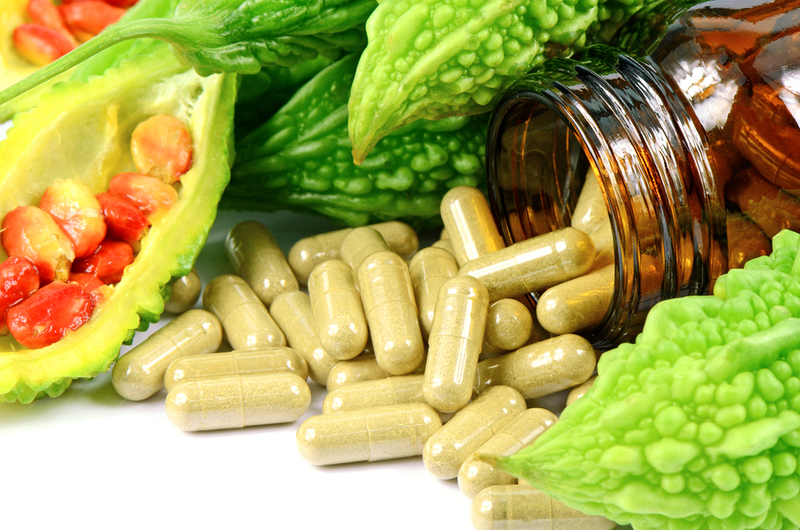 If you develop insulin resistance, there is a good chance that you will develop diabetes. This is primarily caused by chronic high levels of glucose level in your blood or a pancreas that simply can’t keep up with insulin production as more and more is needed to transport the same amount of glucose into the cells of the body where it can be used for energy. 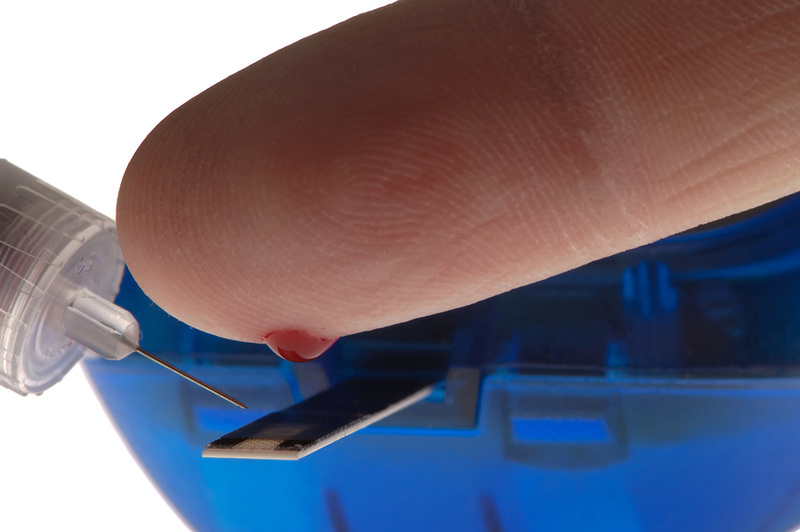 What happens to most individuals with insulin resistance is that they have high levels of both blood glucose and insulin circulating in their body simultaneously. A person who is insulin resistant has fat, muscle and liver cells that do not make appropriate use of insulin due to the fact that the cells have a weakened ability to respond to the action of the insulin hormone. While there are no verifiable statistics to state how many people have this medical condition, it is estimated that in U.S alone that number is in the millions. Normally, cells utilize Insulin to get glucose. The vehicle of glucose is insulin, without insulin, cells could not use glucose or sugar for energy. However, with insulin resistance, the body is producing insulin normally; the problem is that the cells are not accepting it. Picture a person carrying groceries knocking on the door of someone’s house and being turned away. That is basically what is happening with insulin resistance. Insulin is knocking on the cell’s door, letting it know that it has food for it but it is being rebuffed. In order to determine whether an insulin resistance test is appropriate for you , it is important to note the signs and symptoms of Insulin Resistance so that you are armed with the information needed to have a constructive conversation with your doctor. Exhaustion - The most common sign of Insulin Resistance is that it wears people out, with exhaustion being very common. While there are some who are tired morning or afternoon, there are others with IR who are exhausted throughout the whole day. Foggy Brain or Poor Memory - The fatigue and stress associated with insulin resistance are not just physical. Therefore another symptom is brain fogginess in the forms of unexplained poor memory, inability to think clearly or creatively, forgetting what you were about to do at the moment, learning disabilities among others. Increased Blood Pressure - Due to the dangerously high levels of insulin that is circulating in the body, another sign can be increased blood pressure. The fact is that most individuals with hypertension have too much insulin in their system. Bloating or Gas - Intestinal bloating or gas are produced from carbs in the diet. For most people, excessive amounts of gas are a sign that one may have insulin resistance. 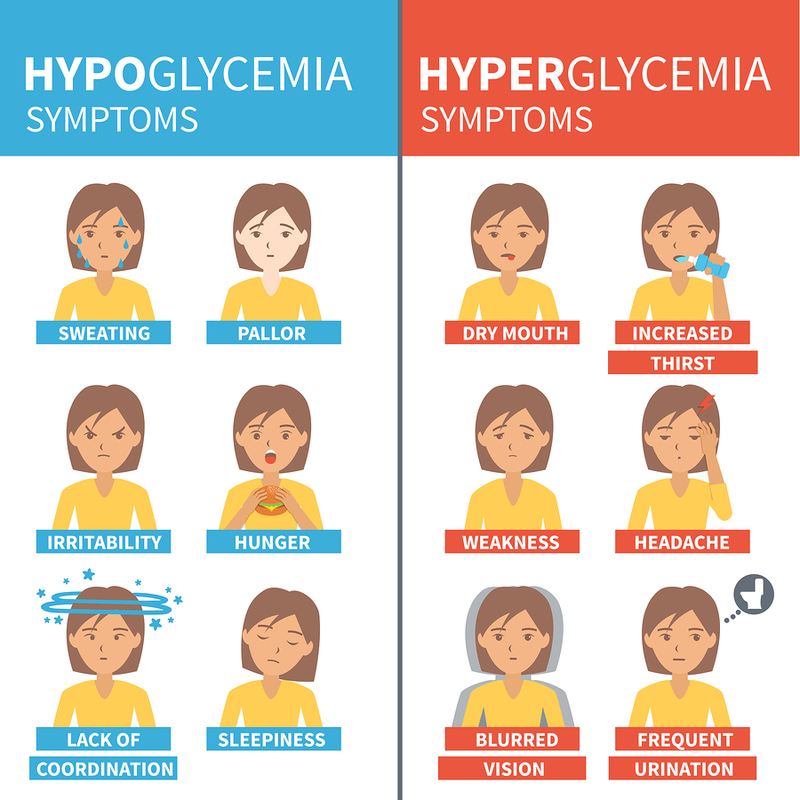 Hypoglycemia or Low Blood Sugar - While low blood sugar, also known as hypoglycemia is normal for most people when meals are delayed, prolonged periods of "hypoglycemia" is not a normal condition and can be a symptom of Insulin Resistance. Large Buttocks or Large Abdomen - Prominent buttocks in women or a large abdomen in men is an indication of too much fat and are signs of Insulin Resistance. Sleepy after Eating a Meal - If one gets sleepy immediately after eating a meal containing 20-30% of carbohydrates that too can be a sign of insulin resistance. Other signs of this disorder are fatty liver, polycystic ovarian disease, arteriosclerosis, and other reproductive abnormalities in women. This medical disorder affects the liver because there are difficulties in managing excessive fats when the level of insulin gets higher. At the same time, distribution of fats will affect the arteries, causing arteriosclerosis, which can significantly threaten our health. Remember that arterial disorders are responsible for causing stroke and other severe cardiac problems. The effect of insulin resistance on women is also quite devastating, as it can alter menses, obstruct ovarian functions, and in some cases, cause infertility. The hard part in having this illness is that it is very difficult to detect it earlier because its signs and symptoms' usually develop at a late stage. In this case, prevention is much more crucial. Although hereditary is a big factor for its occurrence, it can still be prevented by the adoption of a healthy lifestyle and regularly exercising. Insulin tolerance test (ITT) – this insulin resistance test is not widely used since it involves an IV-infusion of insulin with subsequent measurements of glucose and insulin levels to determine how effective your body is at processing both. Quantitative Insulin Sensitivity Check Index – this insulin resistance test uses insulin and glucose blood tests along with a mathematical formula to determine where you fit on the QUICK index. If you are experiencing any of the above symptoms, you should consider an insulin resistance test. Since insulin resistance is hard to detect, it would be wise to go to an endocrinologist who specializes in metabolic diseases and will be familiar with the insulin resistance test approaches above.